The Gauja National Park (Latvian: Gaujas nacionālais parks) in Vidzeme is the largest national park in Latvia, with an area of 917.45 km² running from north-east of Sigulda to south-west of Cēsis along the valley of the Gauja River, from which the park takes its name. 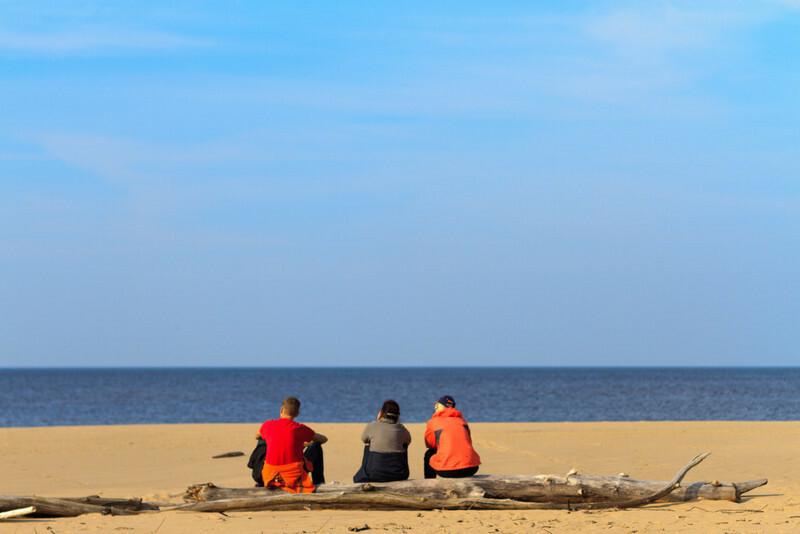 It was established on 14 September 1973 and is thus also the oldest national park in Latvia. The park administration is based in Sigulda. The park is particularly noted for the Devonian sandstone cliffs, in some places as high as 90 metres, along the banks of the Gauja, particularly in the northern parts round Sigulda. In the south-west it is mainly used by the inhabitants of Riga as a leisure facility, while further to the north-east it is more strictly protected. The area was formerly sometimes known as the "Livonian Switzerland" and tourists started to visit this area in the 19th century. Besides the towns of Cēsis and Sigulda, Līgatne (with the Līgatne Nature Trails) is also located in the park, and Valmiera is close to it. It also includes Turaida Castle, Lielstraupe (known for its church and castle) and the historic Ungurmuiža estate. 47% of the park's territory is forest, mostly spruce and pine, but including some deciduous growth. Of the numerous lakes in the park the largest is Lake Ungurs.